Home warranty companies and other telemarketers selling home service contracts know that good leads and inbound calls are the key to keeping sales people productive. Down time for call center representatives costs money and so do home warranty leads which don't convert into conversations with interested consumers. Paradox M specializes in home service contract (also called home warranty) leads. 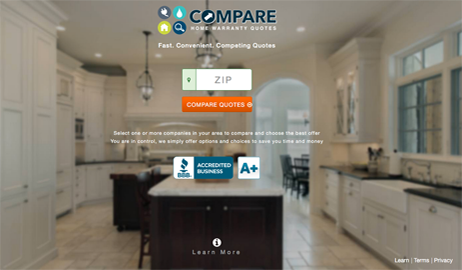 By way of websites such as Compare Home Warranty Quotes we bring our clients high quality, branded home warranty leads. Unlike some companies which treat home warranty as just one of dozens of markets to produce leads in, Paradox M has taken the time to understand the home warranty space. We know a lot about the consumers shopping for home service contracts and the companies offering contracts to U.S. homeowners. Home warranty leads are our focus. And we are proud of the leads and inbound calls that we produce. Exclusive leads? Shared leads? The answer is yes and yes! We have both exclusive and shared leads, tailored to fit your budget. Phone calls: Users on our websites are not always apt to enter their contact information in web forms. Those are consumers we introduce to your company via toll free numbers published on our websites. Whether your company wants inbound calls exclusively or as a mix with real time leads, we can help you ensure your sales team gets what it needs in order to sell home warranties. The best part about our calls is that you will always be talking with consumers who are actively searching for a home warranty or have recently expressed interest in the service. Paradox M does not sell just any lead. We sell highly targeted home warranty leads, ones derived from websites that appeal specifically to home owners, real estate professionals and others shopping for a home warranty. Our leads are from a network of our in house and third party, exclusive websites and other high quality sources. As a client you will be given detailed transparency regarding the sources of your leads. You will also have regular opportunities to fine tune your mix of leads. The goal is to reach or exceed your ROI efficiency targets. 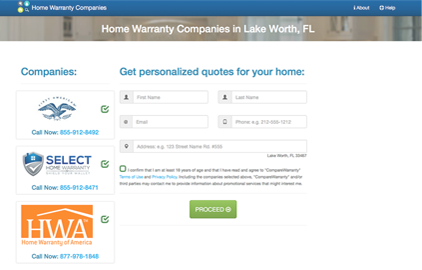 Does your company want to supply leads and/or inbound calls to home warranty companies? Contact us to learn how we can help you get the most out of your marketing efforts. Need home warranty leads or inbound phone calls from homeowners? We have spent seven years working to build the most diverse network of home warranty lead sources and home warranty companies in the realm of Internet marketing. We've invested a lot in building a reputation and establishing trust with all the residential service contract companies we work with. But there's still more work to do. Paradox M wants to be part of your company's marketing team! HomeWarrantyReviews.com has been helping home owners and buyers choose the right home warranty since 2005. The site provides a community based platform to help consumers choose the right kind of home warranty company. Along with consumer reviews, the site also provides detailed information on home warranty companies, pricing and plan details, and home improvement and housekeeping guides. As a service to the industry and to consumers, HomeWarrantyReviews.com has also set up an an exclusive award for the home service industry. The annual award recognizes companies that have excelled in their field. This award conveys an appreciation for the recipient’s hard work and fosters a sense of healthy competition as well. If your home warranty business needs well qualified leads, look no further. We provide best quality leads that perform better than all other sources.